Is there a way to count the number of vertices of polygons and lines in QGIS? In QGIS, is there a way to count the number of vertices of polygons and lines in a given layer, and create a separate field containing these values? I suspect it's a function somewhere in the field calculator but I can't find it. Look in the vector menu, there is a "extract nodes" tool. As times go by and version changes, some hints concerning the recent QGIS versions 3.2 and 2.18.22 LTR (by Aug. 7th, 2018). 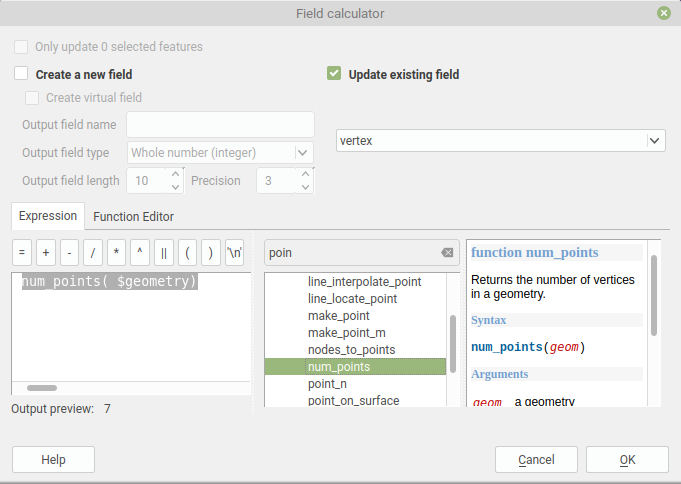 In QGIS 2.18 the Vertices Counter plugin works as usual, but seems not yet been ported to QGIS 3. But fortunally, there is another solution available in field calculator that you expected to find nearly six years ago. 2. From the Table Options drop-down, click Add Field to add a new field to the table. 3. Name the field VxCount and select Long Integer for the field type. Click OK.
4. Right-click the heading of the new field and click Field Calculator. 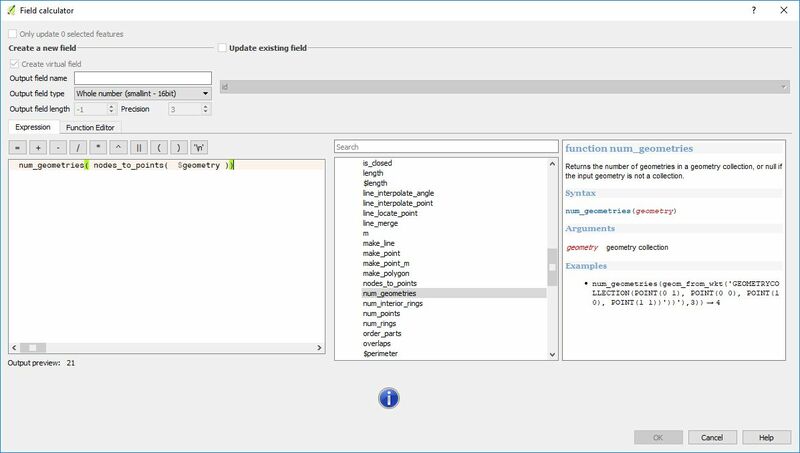 The geoprocessing tool, Calculate Field, can also be used to populate the field. 5. Under Parser, select Python. Not the answer you're looking for? Browse other questions tagged qgis vertices or ask your own question. 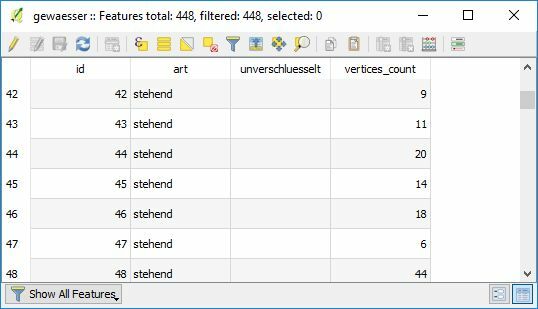 How to count polygons in multipart features? Count of the different combination of two attributes in QGIS?